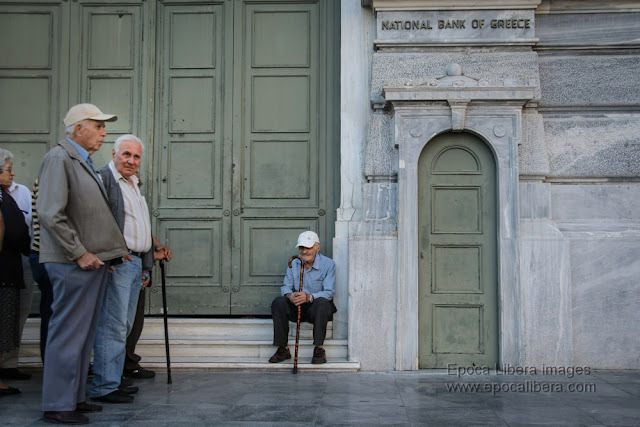 Athens, Greece 2 July 2015. 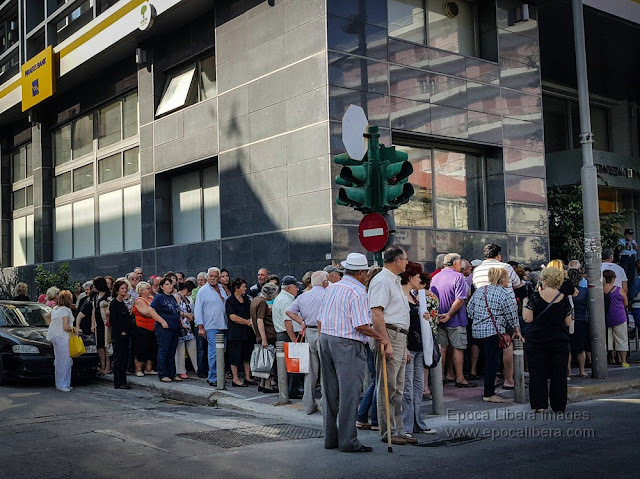 Anxious crowds of elderly Greeks on July 2, queuing up outside Banks open specifically for pensioners who don’t have bank cards, allowing them some access to their money. 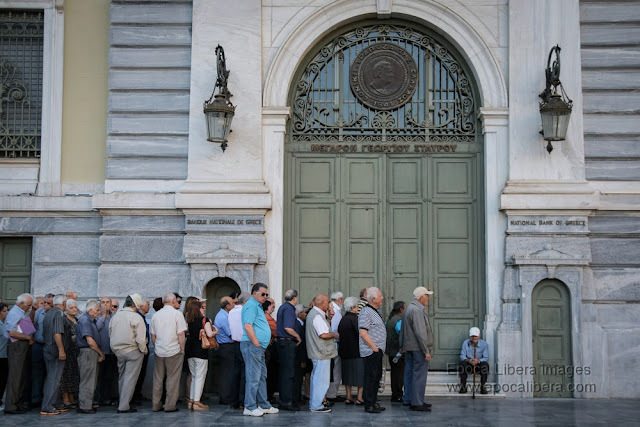 Pension withdrawals are limited to €120 per person. 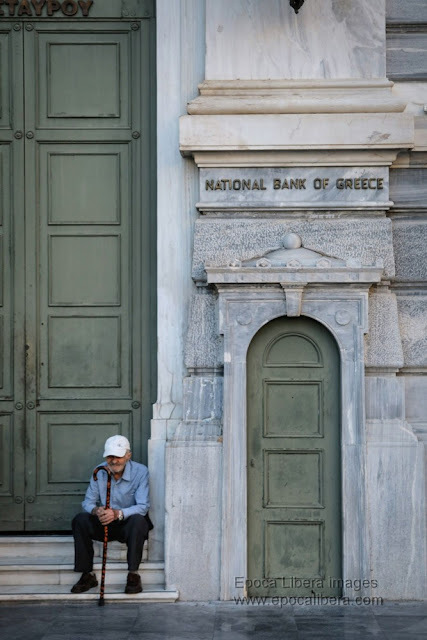 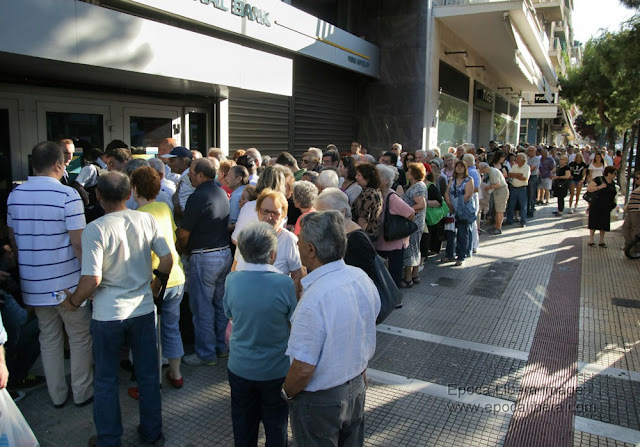 The Greek government closed the country’s banks and imposed capital controls on withdrawals until July 6, the day after Greeks are due to vote in the referendum on whether to reject or to accept the bailout terms. 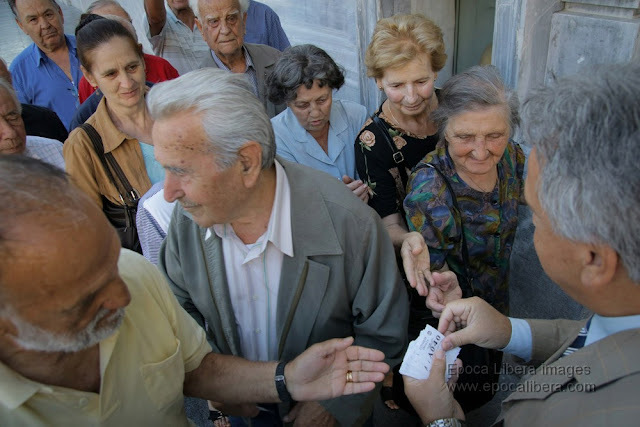 Για δεύτερη ημέρα στήνονται σήμερα οι συνταξιούχοι έξω από τις τράπεζες, σε απόγνωση: Ωρες αναμονής στην ουρά προκειμένου να πάρουν τα 120 ευρώ από τη σύνταξή τους. 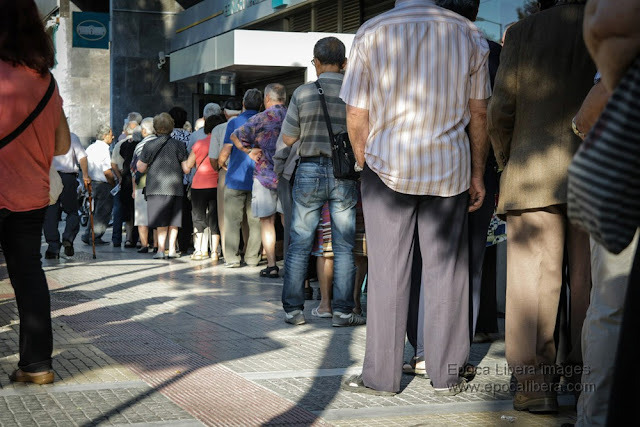 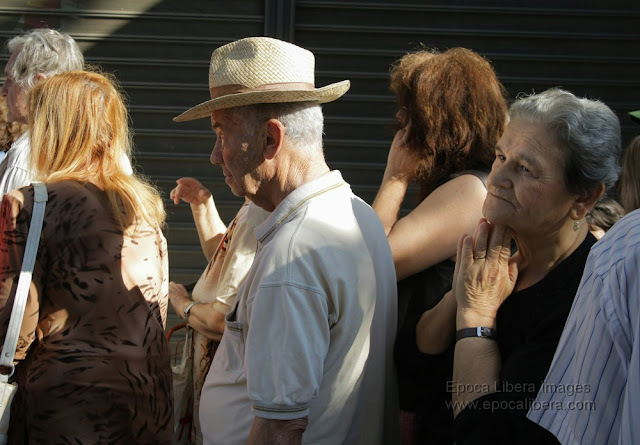 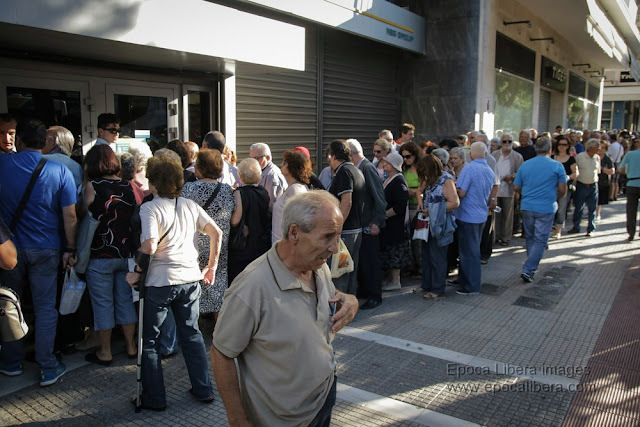 Elderly Greeks stand in line outside an Athens bank to claim their pensions. 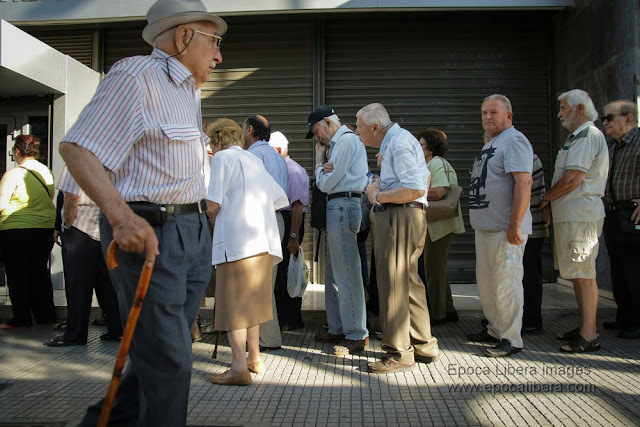 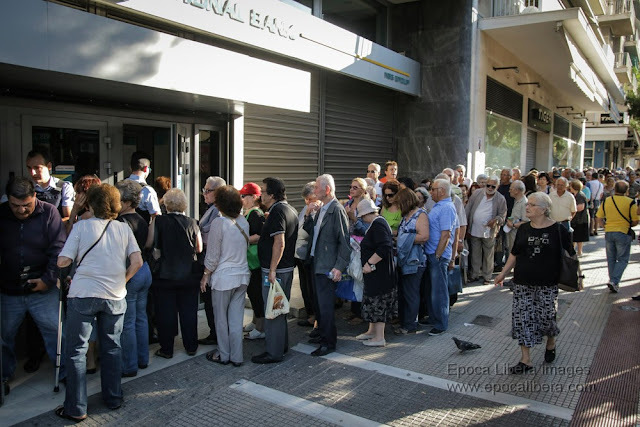 Elderly Greeks stand in line outside an Athens bank. 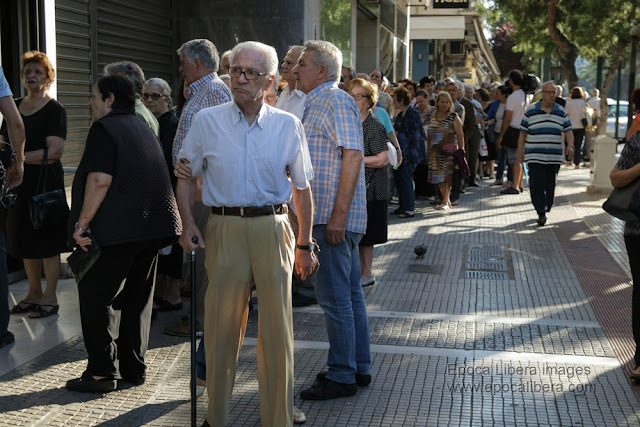 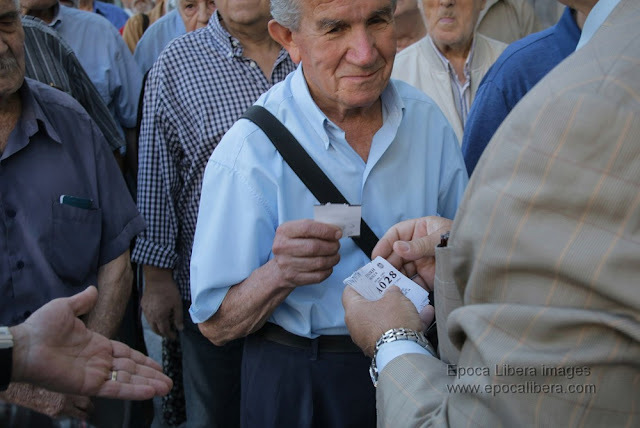 An elderly man walks past a line of pensioners queueing up outside a ban in Athens in order to claim their pensions. 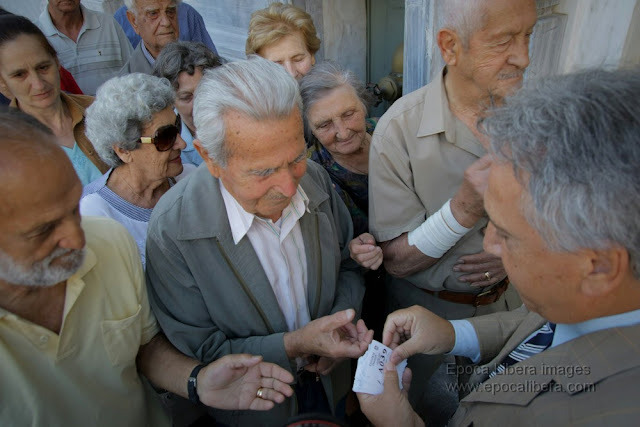 The manager of a National Bank of Greece branch in Athens delivers priority numbers to pensioners waiting to withdraw cash from their accounts. 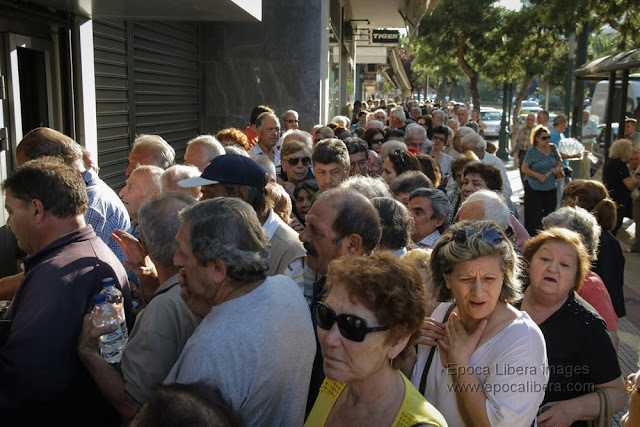 Pensioners try to get a number to enter a bank in Athens. 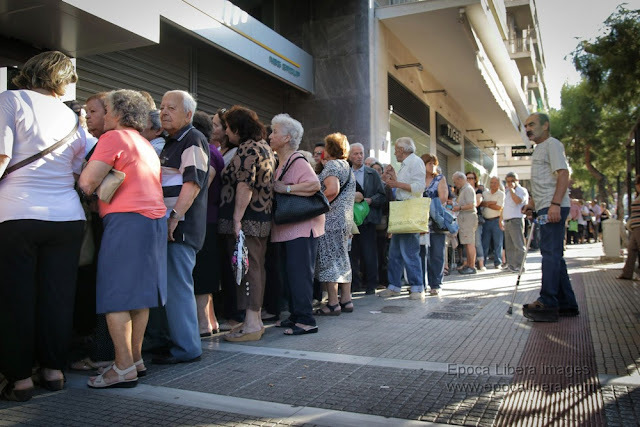 Pensioners in Patras Greece queue at dawn to withdraw part of their pension (1 July 2015).